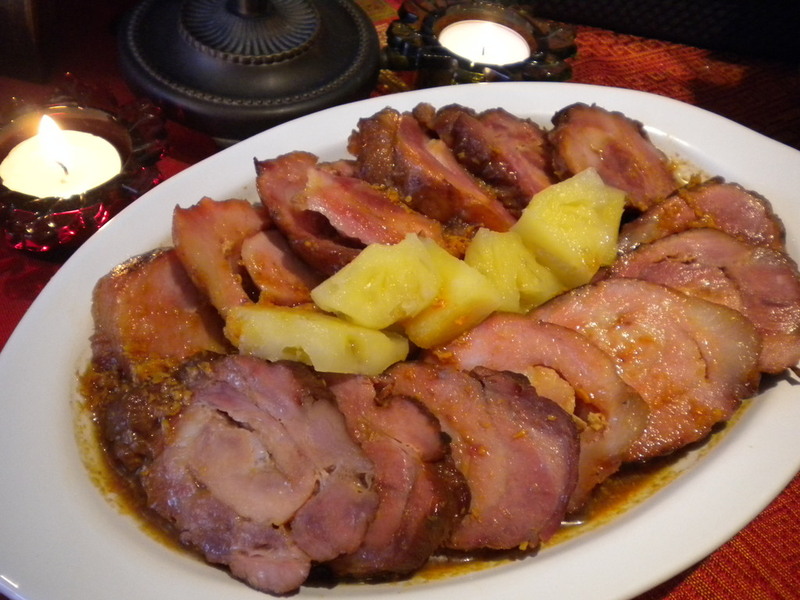 Marinate the pork in pineapple juice and soysauce for at least 30 minutes. Medium pan-fry the pork in small amount of oil for 7-10 minutes. Add the marinating sauce, water and slow cook the pork for 30 minutes. Stir in the sugar, pineapple chunks, salt and pepper. Let it simmer for additional 10-15 minutes till the sauce slightly thickens.